Having claims to its origins in both France and Spain, Grenache is most famously known in Australia as part of a blended trio with Shiraz and Mourvedre. But, Grenache is starting to break out and go solo with some superb single varietal wines from South Australia. To help us learn more about Australian Grenache, we reached out to experts Kevin Glastonbury of Yalumba and Nathan Hughes of Willunga 100. In Spain it is known as Garnacha, in Sardinia it’s Cannonau and in France, where the variety carpets the Côtes du Rhône, it is Grenache. So, where does Grenache actually come from? It’s complicated. Spain has perhaps the strongest claim to producing the first vines, but this is hotly contested and constantly revised by wine academics. It is, however, France where the variety is most famously grown with Grenache forming an integral part of the classic Rhône blend. In the Côtes du Rhône, Grenache is the star and must make up at least 50% of their prized blend along with Syrah (Shiraz) and Mourvedre. Grenache is a variety that relishes warm climates and improves as the vines grow old, which is why the Barossa Valley and McLaren Vale, two of Australia’s oldest regions, produce some of the best expressions. The Barossa, in particular, has blocks of wine with Grenache from 1850 still producing wines, each and every year. With a similar weight and tannin structure to light to medium bodied Shiraz, Grenache is light on the palate and is all about purity of fruit. With aromas like pomegranate, wild strawberries, violets and red fruits and a palate that’s restrained and fine in texture, it is often blended with Mataro/Mourvedre, which provides a heightened element of spice and tannin. But, with careful oak treatment, Grenache can produce be a splendid single varietal wine. 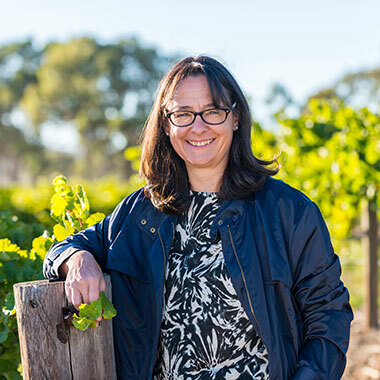 Marnie Roberts – chief winemaker, Claymore Wines Claymore Wines ’ Shankly Vineyard is one of the very few plantings of Viognier in the Clare Valley. “Our Viognier is grown in a small pocket in Watervale that provides ambient sunshine and daytime warmth but cool nights. This allows the delicate florals and juicy acid to gradually develop and gives us the opportunity to have a bit of a play with it. We pick at a lower end of ripening (about 10 baume) to retain the juicy acid and delicate nature to allow us to stop fermentation prior to complete dryness for an off-dry to sweet style of this grape,” Marnie explains. “Our Skinny Love Summer Viognier is made with minimal intervention ensuring that the mouthfeel is super appealing, like biting into a red delicious apple. It’s an extremely pretty, delicate and approachable wine.” Viognier Tasting Notes The distinguishing characters of Australian Viognier include stone fruit, predominantly apricot, perfumed scents and high alcohol. Viognier responds positively to oak, adding richness to the texture and a nutty complexity that complements the apricots. 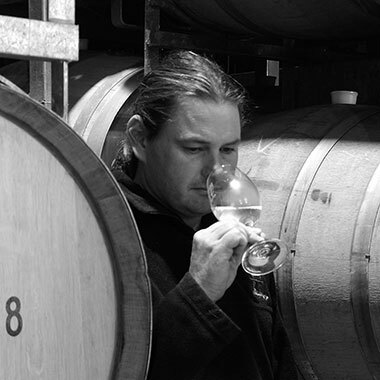 Viognier is also regularly co-fermented, or blended with Shiraz to give further complexity and fragrance. “When great, the wines are seductive, luscious, opulent, viscous, full-flavoured with exotic aromas of lychee, musk, rose, pear, apricot, peach, nectarine, ginger, spice, citrus blossoms and long silky rich textures,” explains Louisa Rose. Food Matches Similar in weight to Chardonnay and Rousanne, it pairs well with a great range of foods including rich seafood, red and white meats, and spicy dishes like Indian, Thai and Moroccan. “In short Viognier is a fabulous food wine,” says Louisa Rose. “It goes with everything from the spicy northern African to Asian cuisine, from white meat to reds meat, and with all the earthy flavours and textures such as mushrooms, wasabi and root vegetables, plus it’s just at home with a cheese plate.” “Viognier covers the foods and occasions that you would expect a white to, and then seamlessly moves into those that you would normally associate more with red wines and it is often called the red wine drinkers white wine,” she says.